German carmaker Volkswagen has said it will boost its investment in electric vehicles in China together with its joint ventures on the ground. The announcement came as the Asian nation set stringent production quotas. Germany's Volkswagen Group said Thursday it was planning to spend €10 billion ($11.8 billion) by 2025 to develop and manufacture so-called new-energy vehicles (NEVs). The automaker's China chief, Jochem Heizmann, said at the Guangzhou Auto Show that VW's ambitious e-mobility drive in the world's most important car market would be supported by its joint ventures on the ground. The announcement came as China set stringent production quotas for NEVs which automakers must meet by 2019. The new legislation is prompting a flurry of electric car deals and new launches of all-electric and plug-in hybrid models as manufacturers in China race to ensure they do not fall short. VW's Heizmann said his company was planning to produce some 40 new green-energy models in China by 2025 — over 20 models more than previously planned. He added that the Volkswagen Group aimed to sell some 400,000 e-cars in China yearly by 2020, and 1.5 million e-cars annually by 2025. 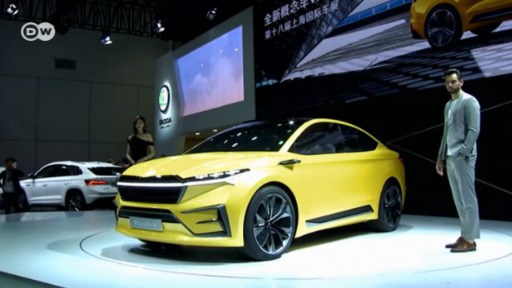 "Nowhere else is the market for e-cars developing as fast as in China," Heizmann said in a statement, pointing to the importance of being active there at a very early stage. Heizmann said VW's joint venture with Anhui Jianghuai "was developing well," noting that the partnership would result in a first joint NEV in the first half of next year. As of the end of 2016, there were more than half a million e-cars on Chinese roads, with state subsidies pushing e-mobility in the country in a bid to reduce air pollution in big cities. The Chinese car market has grown rapidly over the past 20 years, with Germany's VW group now selling every second car there. But as the fat years seem to be over, VW has made a risky bet on electric vehicles for growth. Ever more motorists are pulling into highway churches for a brief moment of spirituality, to light candles and pray. The chapels provide an oasis of calm that gas stations and truck stops do not.